Mogadishu (AFP) - Somali President Mohamed Abdullahi Mohamed has urged troops from two rival provinces to halt their fire after heavy clashes in a disputed northern border region left several dead. 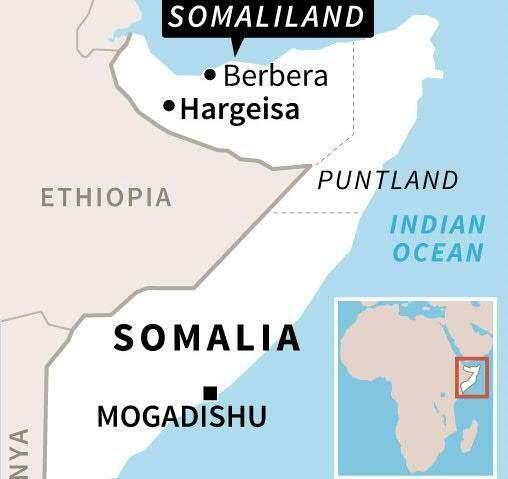 Tensions in the unrecognised breakaway northern state of Somaliland and the semi-autonomous Somali state of Puntland erupted into violence Thursday around the border town of Tukaraq in Sool, a disputed desert region claimed by both sides. "I want to send a plea to the Somalis who are shedding blood in Tukaraq town: I call for an urgent cessation of fire and an end to the bloodshed," said the president at a mosque on Friday. Both sides blamed the other for starting the violence without confirming any casualties, although one local elder said troops from both camps had been killed. "More than 20 soldiers from the two sides died in the clashes and many more were wounded," Mohamed Haji Jama told AFP on Friday. "There is still military tension." "The situation is calm now and both forces from the two regions are in their original positions," said Abdirahman Osman, an elder in another nearby village. The clashes erupted after a major storm brought strong winds and flash flooding to Puntland and Somaliland as well as other areas of the Horn of Africa nation, killing at least 21 people, figures provided by the UN's OCHA humanitarian arm show. Fighting had also broken out just before the storm, on May 15, in what local elders said were the heaviest clashes in months, saying unconfirmed reports put the death toll at nearly 30 dead. According to OCHA, the UN's humanitarian arm, the bloodshed forced around 10,000 people out of their homes, most of them women and children, and "further (complicated) an already complex humanitarian picture."